Participation in the decisions and policy of the Society. Recognition in the Festival Programme (you can opt out). Membership fees can be Gift Aided, increasing their value by 25%, and we invite tax payers to sign the Gift Aid part of the Membership Form. If possible please also sign up for a Standing Order. 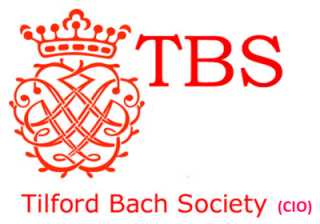 Alternatively you can email us your application form to secretary@tilbach.org.uk and pay by Paypal. This will add membership to your PayPal Cart, which opens in another window. You can buy tickets at the same time using the online booking form and pay for all the transactions together from the Cart. If you become a new member in the period October – December, your membership will be valid until the end of the following year.